I received a new Contraforte bocal as a late Christmas present this year! When Wolf sends out a contraforte they send it out with one bocal, presumably something well matched to the instrument. This has been their system for a while and reflects in their period instruments as well. Since the instrument is custom made so is the bocal to match it. 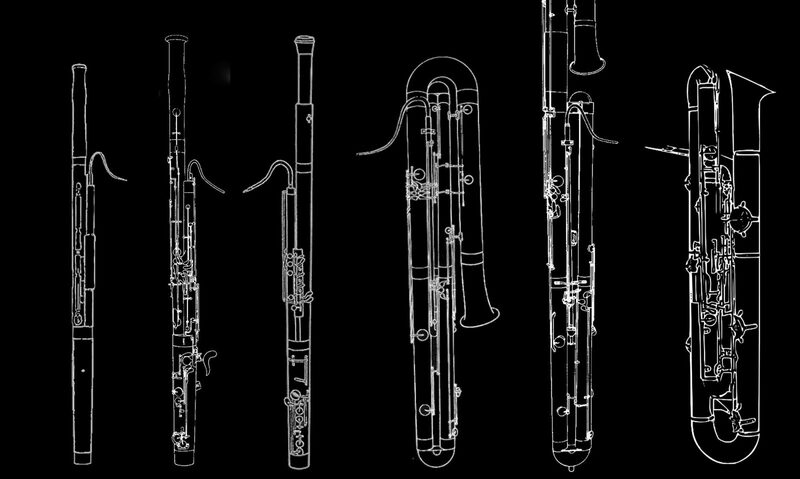 One of the great aspects of playing bassoon and contrabassoon is that each player sounds different and unique, part of that is the player and part is the equipment. I also think that changing equipment/reed shape/bocals can make someones playing easier depending on what qualities they like to bring out in their playing. So having one bocal as my default bocal forever with no other option made me a little antsy. I contacted Wolf about 2 years ago and asked if they could make me a second bocal. At the time I was making shorter contraforte reeds and my pitch would travel a little high and so I asked for a longer bocal. Well they asked me why I would want another bocal and what I thought it would change. I honestly was just curious, anything slightly different would have its own characteristics, no two bocals are the same etc. I was selling some bassoons through Midwest Musical Imports and I asked if they could email Wolf and get this started for me. And it just arrived! So far the obvious characteristics are a lower center of pitch and easier high register. This will be my primary bocal for now to figure out any other differences.